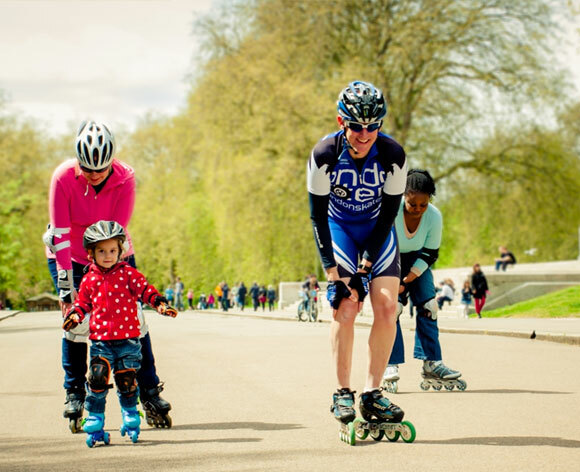 Learn to skate in London in the beautiful surroundings of Hyde Park! My goals are to get you skating, to build your confidence, and to help you progress at the right speed for you. The majority of people taking lessons are adult professionals in London, although I teach kids skating lessons too. I’m an IISA/ICP Level 2 certified instructor, and am also one of the LondonSkaters Speed Team coaches. Less than 1 in 10 instructors in the UK are level 2. I’ve been teaching skating for over fifteen years, and I love the teaching as much as I love skating itself. 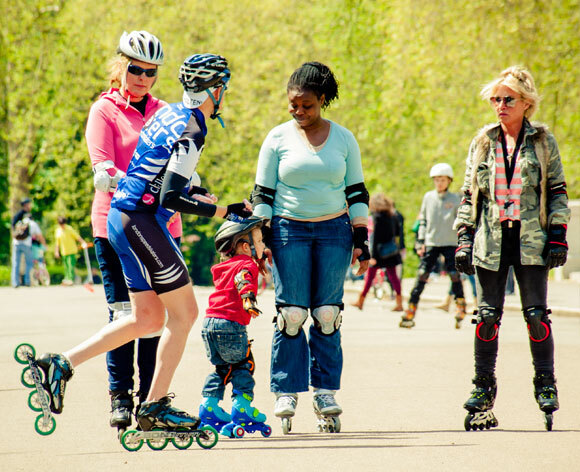 Lessons can be on either inline skates (aka rollerblades) or quad skates, also known as roller skates. Email me for a tentative space. This has no commitment, and you can simply turn up and pay on the day. The course costs slightly more at £100. Click the Buy Now button below for the course you want, and pay via PayPal. If you don’t want to use PayPal, you can also email as above and we can arrange a bank transfer, cheque payment, mobile payment, etc. More courses coming shortly. It’s no problem to flexi-fit course dates so you can fit the course around your life – just let me know. I also teach private skating lessons.